I AM one of those women who would have died in childbirth. I was deep in labor. Hadn’t slept a wink the night before, had a supportive crew taking turns pushing my lower back in between each intense contraction. I knew my time window of having a home birth was expiring, but I was in denial. We tried everything. I went to the chiropractor while in contractions. We used the rebozo method. We turned the baby from OP to anterior, still no progress. His head simply would not drop. Cj and I had an agreement about when we would give up and go to the hospital (which meant c-section in my case). I broke that agreement. I was a stubborn force of nature in labor and I wouldn’t budge. I procrastinated another 5 hours. At that time, all I could see was my chance of natural birth slipping away from an experience in my life, forever. All my husband could see was losing his wife and/or child. All I could think about was how traumatized I had felt after the first c-section and there's no reason to a sleep deprived a woman in labor. But now, I realize that the second time I went through that surgery, actually healed my trauma from the first time. The same exact events occured the second time around, and this time I couldn’t blame it on the hospital, on being induced, on me not being able to try at home. I now have nothing but gratitude for modern technology. The first documented case of a woman surviving a c-section was in 1500. Before that, I wouldn’t have even lived to have a second baby. I would have left a loving, scared, abandoned husband alone with a crying newborn baby girl who would always wonder what her mom was like. I’ve heard natural birth is exhilarating, I’ve heard it’s the highest high that no drug could ever give you. I’ve also heard horror stories. I will never know, and that’s just fine. Getting a c-section is not a super fond memory, especially after 36 hours in labor. I flash back to needles, shivering teeth, disconnection, cold, pain that I never got that skin-to-skin golden hour. Sobbing to my midwife in the recovery room because I could hear my baby crying down the hall but they wouldn’t bring him to me. But I was alive. He was alive. It took me months for the postpartum fog to clear for me to see this. 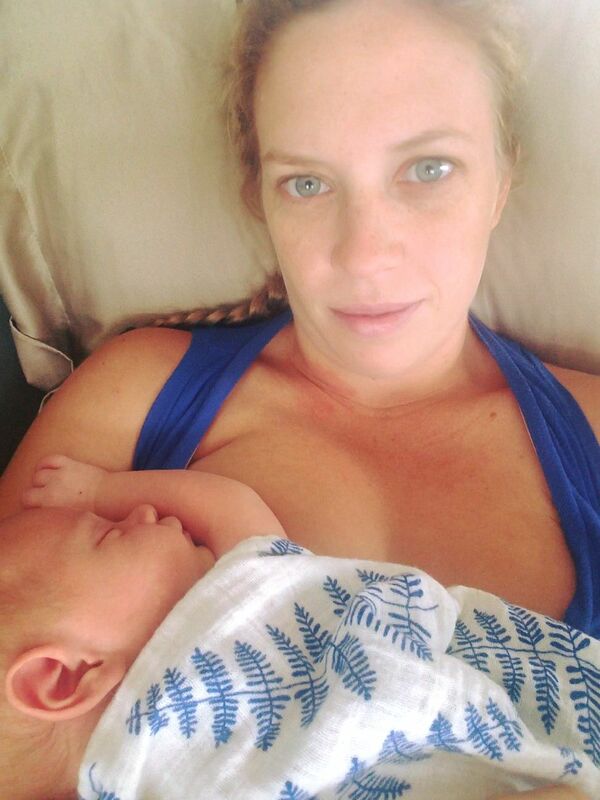 For so long I held so tightly to NEEDING that experience of a home birth. I couldn’t just have gratitude for the gift of healthy babies, despite the fact that they both developed infections in the womb. Despite the fact that my family is no stranger to losing full term babies. So I ask, where are you gripping so tightly that you cannot let life unfold as it should? This is a fine line to walk, when you believe in manifestation and unwavering determination. But all we can do is set our sights, and let go of the attachment. Life is happening for us, not to us.